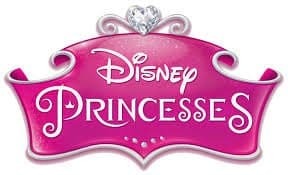 Today, Disney is focusing on the ‘Modern Princess’, with the release of their new Disney Princess line. There are eleven princesses in this line and each one is not only portrayed with beauty and grace, but with current day attributes like a vibrant and pleasing personality, being kind and forgiving, being resilient, handling adversity, and having notable strengths, likes, passions, and goals. They’re designed to inspire children to take charge of their own storytelling. In this generation, kids play differently than say they did even 20 years so. Kids have aspiration and big dreams, and they believe anything is possible. Impossible feats can be attained as experienced by this line of dolls. Each Princess is the heroine of a unique adventure story inspiring kids with messages of hope, optimism and the triumph of good over evil. Life can be magical, and the story begins with you. The first release of the new collection is the Disney Princess Rapunzel. Rapunzel is known for her the magical healing power of long golden hair. She’s inquisitive, brave, has a sense of right and wrong, and has goodness in her heart. Rapunzel’s creativity and passion for life lead her on a path of self-discovery, and young girls can relate to this. 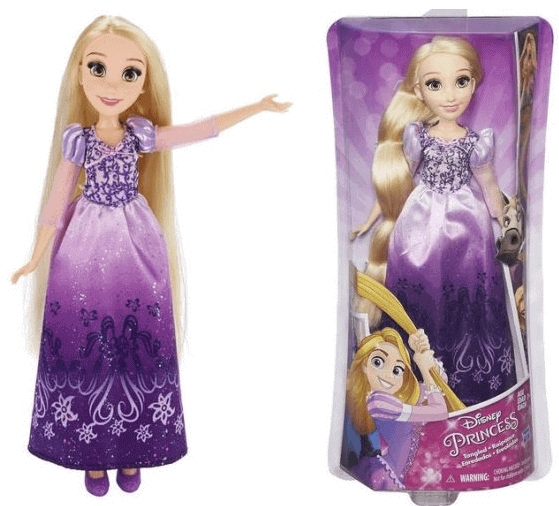 The Rapunzel doll is 12 inches tall and has long enough hair to style and braid. She comes with a lavender dress full of bedazzling sparkles and matching shoes. She’s got gorgeous green eyes, long lashes, and her head, arms and legs move. Retails for around $18.00. New also for Spring 2016, is the Disney Princess Little Kingdom Rapunzel Stylin’ Tower and the Royal Sparkle Collection. 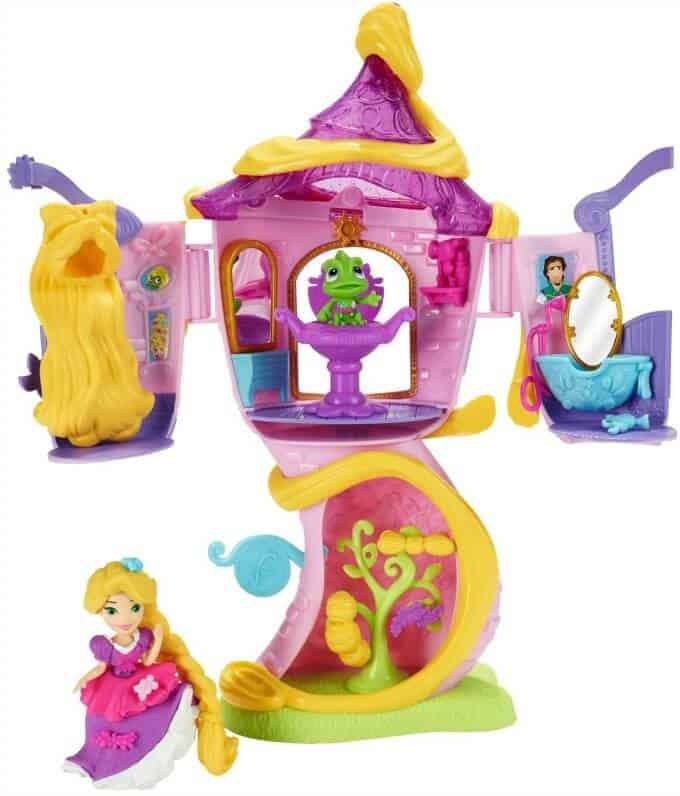 This two level, magical playset comes with everything Rapunzel needs to keep her hair looking beautiful. Included are Rapunzel, Pascal, her pet chameleon, two hairstyles, accessories and a tree. The upstairs level has a salon with mirror and swivel chair and a bathtub with shower head. The lower level includes a storage area and additional Snap-ins. It does require a little assembling, and you can close the top level when you’re finished playing. Retails for $19.99. Children are influenced positively by the engaging stories and happy ending each princess shares. 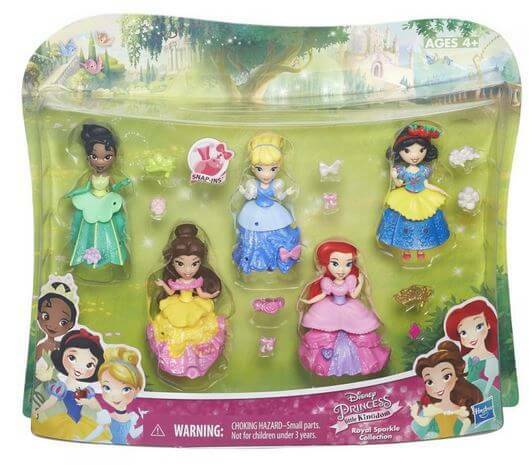 Now they can use the Disney Princess collection to ignite their young imaginations and create their own magical realm where they set the story and make the rules. It’s so natural! Another great product to have would be FURREAL FRIENDS BUTTERSCOTCH, MY WALKIN’ PONY PET, I think my granddaughter would love to have that as well!! Another great product would be PLAY-DOH CAKE PARTY. I would like the Star Wars lightsavers. The Star Wars Millenium Falcon is pretty awesome. The Star Wars Millennium Falcon! Princess Anna magical story cape would be good toi. I like the STAR WARS THE FORCE AWAKENS BATTLE ACTION MILLENNIUM FALCON. I like the play school fold n go busy elephant. My son would love the Nerf N-Strike Elite Mega Lightning Bow! I would love to get the Sesame Street Play All Day Elmo. Thanks for the giveaway, I hope that I win. Oh my goodness my daughters would love all these Tangled items! And my oldest would also love the FurReal Friends StarLily My Magical Unicorn – her and friends are always talking about unicorns these days!! And my youngest would also love the Disney Princess Cinderella’s Magical Story Skirt doll. I like the FurReal Friends Pom Pom My Baby Panda Pet. I think anything from Star Wars or Frozen would be great but I’m going to choose a game so everyone can play together and that game is Trouble. My little pony friendship is magic figures! I’d love to have Starlilly My Magical Pony FurReal Pet. HA I want Star LIly the magical unicorn, cus who doesn’t want a unicorn? I would love the PLAYSKOOL FOLD ‘N GO BUSY ELEPHANT BLUE for my granddaughter. I would like the Disney Princess Royal Shimmer Cinderella Doll. I think my children would enjoy the hasbro Playdough cake party. My niece would love Play-Doh Town. I would like to get FURREAL FRIENDS STARLILY MY MAGICAL UNICORN would be a great present for my granddaughter. My sons would love the Star Wars Jedi Master Blade Builder! They love everything Star Wars and my daughter loves Disney Princesses! I would love to have Star Lily the Magical Unicorn for my niece. I’d like the Monopoly Empire Quiz. There is so much on the site to see and choose from! I love the selection! I would love to have the FURREAL FRIENDS JJ, MY JUMPIN’ PUG PET, my granddaughter would love this one for sure! we’d love to get Twister! Such a fun game! No shortage of laughs there! My little one would be so thrilled to win this! She loves everything princess. Baby Alive Snacking Sara Blonde doll would be a favorite for my daughter, I think. I would love to have the Playskool Sesame Street Elmo Bath Adventure Steamboat toy for my 2 year old grandson. He loves Pirates and loves taking a bath so this would be a perfect gift for him. It would also keep his curious mind going for some time. I would love to have the Battle Action Millennium Falcon for my oldest grandson. He likes Star Wars and space. Anything Star Wars related, like Star Wars Episode 7 Finn figure. I would like the Monopoly Junior Game to give as a gift. I like the Fur Real Friends StarLily, My Magical Unicorn . My grand daughter loves unicorns. My daughter would like Star Lily. I really like to have the all day Elmo. My granddaughter has a fascination with unicorns so I would choose the Starlily my magical unicorn. I love the matching Disney’s Frozen Elsa’s Magical Story cape doll. I love the Furreal Friends Pom Pom My Baby Panda…so cute. Dovinci butterfly wall art kit. My daughter loves dovinci. We would love to have anything from the Star Wars collection, especially the Millennium Falcon. My boys are crazy about Star Wars. 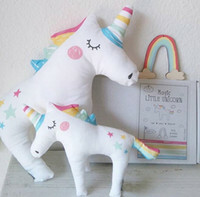 StarLily the Magical Unicorn – cute gift for my goddaughter. My granddaughter would love Disney Frozen Coronation Change Anna. My boys would love the STAR WARS THE FORCE AWAKENS BATTLE ACTION MILLENNIUM FALCON. My girls would love just about any of the FurReal pets, especially Starlily My Magical Unicorn! My youngest granddaughter would probably enjoy Hasbro’s Playskool Wobble ‘n Go Friends Kitty. There are three cats in the household. The girls adore them. Would love to have Starlily: My Magical Unicorn. I’d love to have the My Little Pony Pop Pinkie Pie Sweet Shoppe Playset. A Star Wars Millenium Falcon is a toy I have loved since I was a kid! My kids played Twister and that’s all they talk about… so that would be the product I would pick! I’d also love the Star Wars the Force Awakens Battle Action Millennium Falcon. I think we’d have a lot of fun with the FURREAL FRIENDS STARLILY MY MAGICAL UNICORN. I like the PLAYSKOOL FRIENDS MY LITTLE PONY FIGURE COLLECTOR PACK. My granddaughters would enjoy Starlilly my magical unicorn. My granddaughters would enjoy Star Lilly My Magical unicorn. I would love to have the Scattergories game! My most favourite game of all!! My daughter would love the new My Little Pony Explore Equestria poseable ponies. The Play-doh starter set would be fun for my toddler! I love the Star Wars BB-8! My little one would love either the Elsa or Anna Magical Story Cape. So many great toys to choose from! I would choose the Playschool Fold’n Go Busy Elephant Book. Baby alive and Furreal pets are a huge hit with my girls!!!! My girl would adore the Disney Princess Layer ‘n Style Rapunzel!!!! My kids would love the Star Wars lightsabers. I like the PlayDoh Town Firehouse, as well as a lot of the other PlayDoh toys. Please disregard my entry. I didn’t realize it was for residents of Canada only until it was too late. Sorry. I love the STAR WARS THE FORCE AWAKENS BATTLE ACTION MILLENNIUM FALCON, it would get so much play in our house, by my daughter and my husband! As this awesome prize would be for my daughter, the other product I would love to have is the PLAYSKOOL FOLD ‘N GO BUSY ELEPHANT BLUE. My 19 month old son LOVES learning and exploring new toys and I think this would be fun for him. The frozen castle would be great for my daughter. Both my girls are all princess all the time! A great buy from Hasbro would be the Play Doh cake party! Thanks! My daughter would love the DOHVINCI VANITY FRAME KIT FEATURING DISNEY FROZEN FEVER. The FurReal Friends StarLily My Magical Unicorn is one of Hasbro’s toys my granddaughter would love. Upwords looks like a fun game! To balance things out with the princesses and princes, we’d get the Star Wars The Force Awakens Battle Action Millennium Falcon. Good for all genders. I’d like to win the Playskool Sesame Street Play All Day Elmo for my youngest grand daughter Mercy Nevaeh! I’d love to get my son My Little Pony Applejack. I’d like have the trivia pursuit family edition. Thanks for the chance. NERF SUPER SOAKER TIDAL TORPEDO BOW would be the ultimate toy for the summer! I might even play with it myself. My daughters loves the Baby alive dolls. They want all of them !!! My grandchildren are very curious about the TROUBLE GAME. They said it looks like fun. I told them I played it when I was young and had a lot of fun with it. I would also love the Star Wars Millenium Falcon. I’d love to see the Playskool Dressy Kids girl and boy. More so the boy because my son loves dolls and would be crazy excited for a boy doll. Why aren’t there more boy dolls anyways!? With three older sisters he’s picked up caring for baby dolls. Any of the fur Reals! Jj is adorable. The Millennium Falcon would make my son very happy!!! MARVEL MASHERS LOKI OVERLOAD looks wild. Monopoly Empire! I collect Monopoly games and I don’t yet have that version!!!!! I would like the PLAYSKOOL FOLD ‘N GO BUSY ELEPHANT BLUE. Kids would love it. I would love a Starlily magical unicorn. Believe it or not, but my granddaughter picked STAR WARS THE FORCE AWAKENS BATTLE ACTION MILLENNIUM FALCON. Thank you for this amazing giveaway! Any of the Star Wars items. I would like this Star Wars Bladebuilders Jedi Master Lightsaber. I would like MONOPOLY EMPIRE. DISNEY FROZEN ANNA’S MAGICAL STORY CAPE would be perfect for my daughter!